In respect of the influence of solid and liquid food, the lower animals are favourably situated in comparison with the human subject, as, in a state of domestication, horses and other animals which are used in the service of man are not permitted to exercise their own taste in the selection of their diet, but are supplied by their owners with the amount and quality of alimentary matters which are selected with the distinct intention to produce certain desired results. It may happen, however, that in carrying this intention into effect the food may act as an exciting cause of disease owing to an excess of certain constituents. Thus, in the case of animals which are kept for the purpose of being fattened, serious disturbance of certain organs, especially of the circulator and respiratory systems, may be occasioned in consequence of the excessive quantity of fatty material which is deposited in the structure of important organs such as the liver and heart. Serious results may also follow the consumption of adulterated alimentary matters, which are, as a matter of fact, only given in ignorance, and may therefore be looked upon as accidental causes of disease, which could be avoided by the exercise of care on the part of the attendant. In the case of the horse, the food is generally of a very simple nature, consisting of hay, oats, beans or peas, bran, and, incidentally, green food and carrots. None of these articles of diet lend themselves to any process of adulteration; but some of them, oats and hay particularly, may become dangerous in consequence of changes which take place during fermentation, or from the growth of certain moulds, or from accidental contact with the virus of infective diseases. Mouldy hay, and oats which have been damaged by water and afterwards kiln-dried, commonly produce serious and sometimes fatal effects. The condition of these articles of food is easily recognized, and their use may consequently be readily avoided; but in the case of accidental contamination with the infective matter of anthrax or other contagious disorders there is little probability of the fact being discovered until the animal exhibits indications of the disease, and even then the contaminated food may altogether escape suspicion. Deficiency of food is a predisposing cause of disease, but when it amounts to extreme privation it becomes an exciting cause. The immediate consequences are lowering of temperature, poverty of blood, irritation of the mucous membrane of the stomach, sometimes solution of the walls of the organs by the action of the gastric juice, fever and delirium - in short the ordinary indications of starvation. This condition is, of course, extremely rare in relation to horses, excepting as the result of accident or the presence of some disease in the mouth or swallow which prevents the animal from taking food. Excessive exertion has already been considered among the predisposing causes, and in order to become an exciting cause it must be pushed to such an extent as to induce acute congestion of the vessels of the lungs or brain or some other organ, a condition which will be quickly followed by interference with the action of the heart and total stagnation of the circulation. Short of this condition, which will necessarily be fatal, congestion of the important organs referred to may be followed by inflammation, which, though not necessarily fatal in its effects, is not unlikely to leave serious structural changes in the parts which are affected. The other exciting causes of disease of a cognizable kind are nervous excitement, excessive or defective secretion, impure atmosphere, and climatic changes. The action of all these has been described under the head of predisposing causes of disease. It is easy to understand that they all of them become exciting causes when pushed to an extreme. Thus, violent nervous excitement may result in a fatal shock, or it may induce an attack of apoplexy. Excessive secretion may under certain circumstances cause fatal syncope; while deficient secretion not only impairs the function of the organ for which it was intended, but leads to the accumulation of poisonous matters in the system, which, if not immediately fatal, may lead to serious organic disease. Defective ventilation, uncleanliness, and drainage leading to the accumulation of large quantities of septic matter in the air may occasion rapidly fatal septic poisoning or various forms of disease, which may be commonly classed as low fevers presenting all the indications of typhoid. Climatic changes involving sudden transitions from cold to heat not only render the system liable to various disorders, but are also capable of immediately producing affections of the respiratory system from simple catarrh to bronchitis and pneumonia, in addition to internal congestion of other important organs. The immediate effect of extreme cold is rapidly to reduce the vital powers; the action of heat, on the other hand, tends to cause internal congestion of the liver and other organs, and even extreme congestion of the brain, which may be fatal. Specific causes of disease relate to all those maladies which only occur under the influence of a particular virus or poison. It has been found convenient to classify these diseases under the terms endemic, epidemic, and contagious or infectious. Endemic diseases, or in regard to the lower animals enzootic, affect individuals in certain parts or districts only where the specific cause exists and remains. Certain malarial fevers, for instance, belong to particular parts of the world, and susceptible subjects living in those districts are liable to be attacked repeatedly, but they do not, on removal from the localities, carry the disease with them; the affections, therefore, of this class are clearly not contagious or infectious. Epidemic (epizootic) differ from enzootic maladies as they do not occur persistently in a particular locality, but prevail from time to time, affecting large areas, passing through periods of accession and decline, and reappearing at irregular intervals not necessarily in the places in which they previously prevailed. To this class the common disease among horses, influenza, belongs. 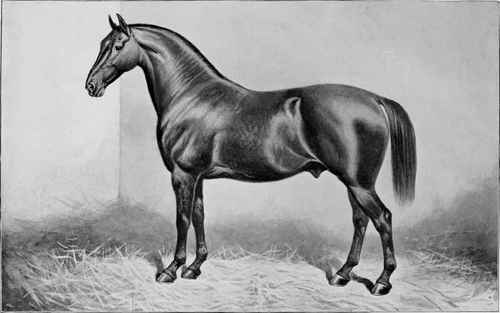 Outbreaks of the disease occur in various parts of the country at different times, and during its prevalence large numbers of horses are attacked; after an uncertain period the malady gradually ceases, only to recur in the same form, or with certain variations, probably in the following season. The cause of these maladies is not known, no specific virus has been detected, and the views with regard to their contagious or infectious qualities are very conflicting.